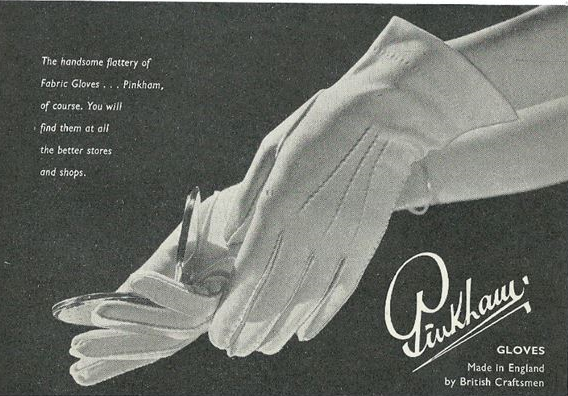 A newspaper advert from the 1950s highlighting the superior quality of Pinkham fabric gloves and as we would say today 'positioning the brand'. 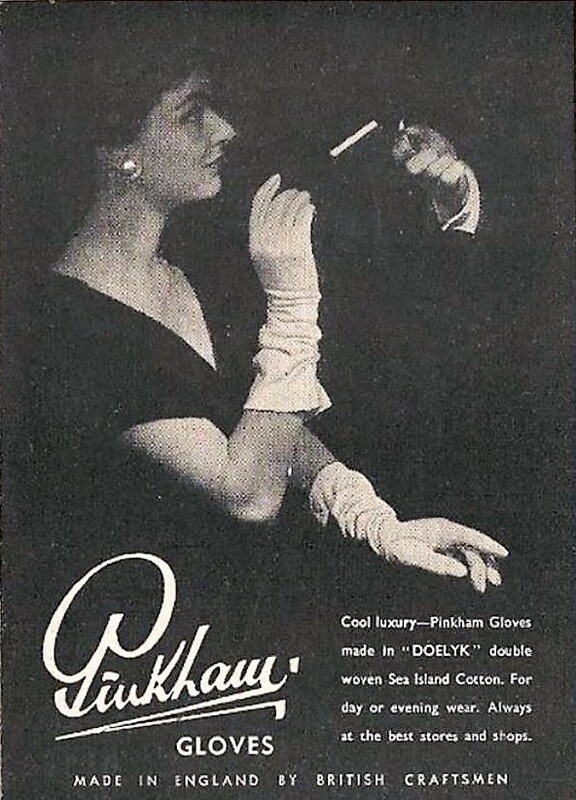 Probably from one of the broadsheet newspapers this advert is promoting the Doelyk Sea Island Cotton which was a very soft silk like cotton fabric used for making evening gloves as well as day gloves. 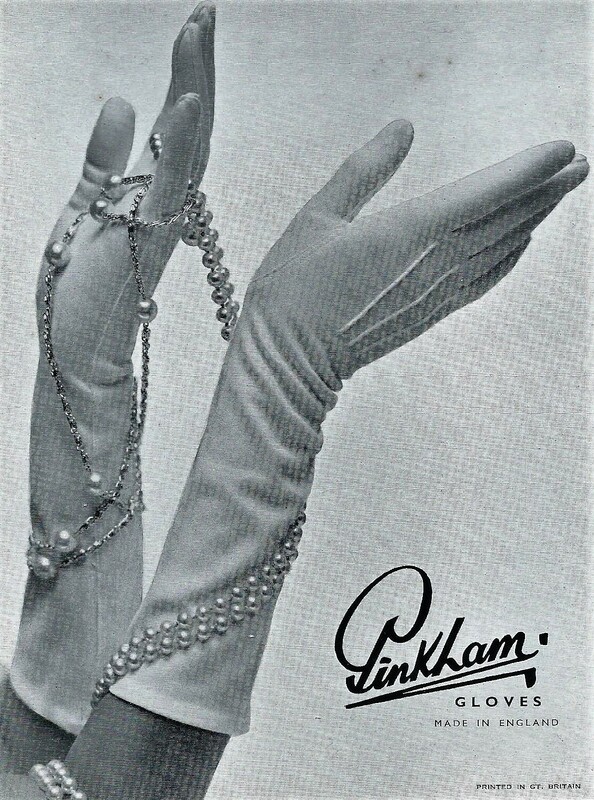 This window display board from the 1950s was found unused in New Zealand in the early 2000s and would have been used on a shop counter top or shop window to advertise Pinkham gloves. 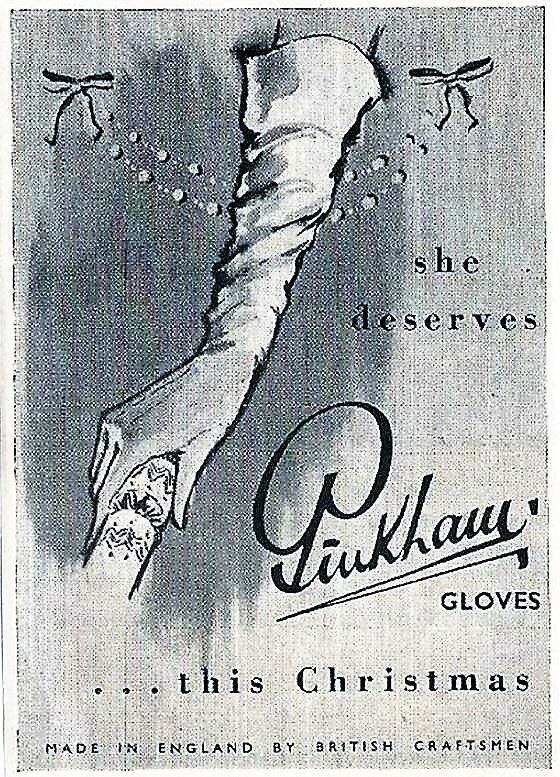 Again from the 1950s this magazine advert gives some sense of the seasonal nature of glove manufacturing in this decade. A decade when the company produced two ranges of gloves a year and at peak 48,000 pairs of gloves a week. All the way from New Zealand this advert from The Wellington Evening Post of November 11th 1920 highlights the reach and fame that The National Glove Company had in the early days. 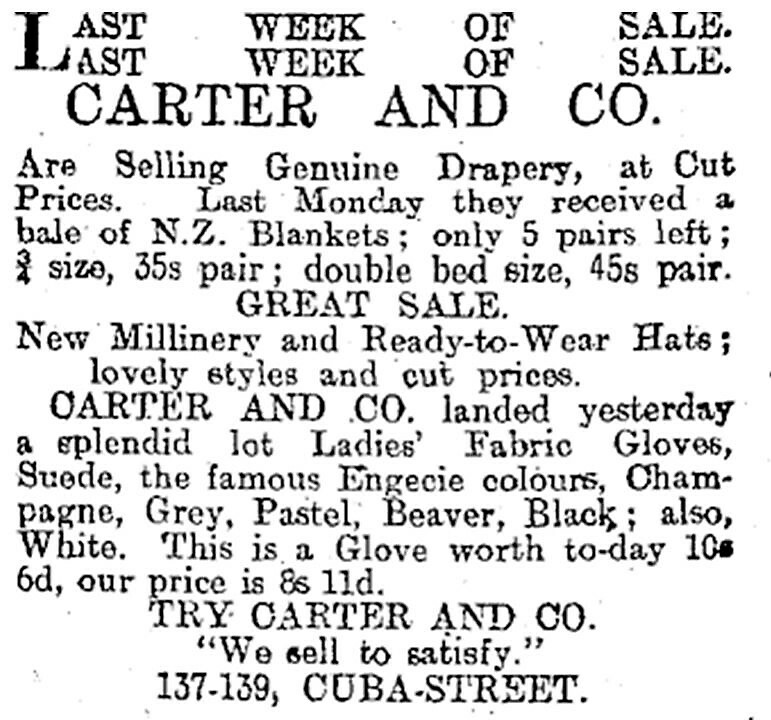 Clearly Carter and Co in Wellington were delighted to have landed a consignment of Engecie fabric gloves. An export market that continued to be good for the company over many years.